Many professionals aspire to work for startups. Executives from large companies view them as models to help them adapt to today's dynamic innovation economy, while freshly minted MBAs see magic in founding something new. Yes, startups look magical, but they can also be chaotic and inaccessible. Many books are written for those who aspire to be founders, but a company only has one or two of those. Entering StartUpLand deconstructs the typical startup organization for the thousands of employees who join a fledgling company, providing a practical, step-by-step guide that provides an insider's analysis of various startup roles and responsibilities–including product management, marketing, growth, and sales–to help you figure out if you want to join a startup and what to expect if you do. Author Jeff Bussgang is a venture capitalist, senior lecturer Harvard Business School and successful entrepreneur. Come hear him discuss what StartUpLand is all about – and receive a free copy of his critically-acclaimed book! 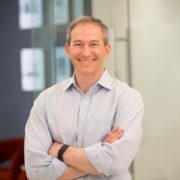 Jeff is an entrepreneur turned VC, HBS Senior Lecturer, author, & civic leader. He is a co-founder & General Partner at Flybridge Capital, an early-stage investment firm. Jeff also runs The Graduate Syndicate, a micro-seed fund created to invest in startups co-founded by recent Harvard graduates. Jeff holds a BA in Computer Science from Harvard University & an MBA from Harvard Business School.